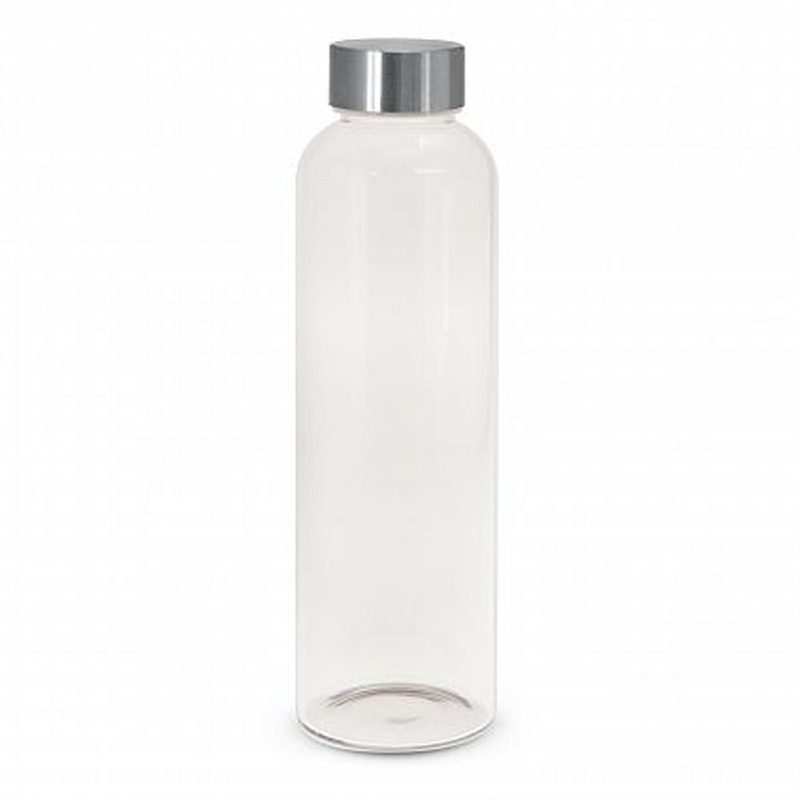 600ml borosilicate glass drink bottle which features a secure screw on stainless steel lid that can be laser engraved with a logo. Borosilicate is a lightweight glass which is exceptionally strong and shatter resistant. Glass is a natural choice for a clean, pure taste and it offers a safe and eco-friendly alternative. Sizes Dia 65mm x H 238mm.